Home » Blog » Now is The Time to Upgrade and Save! 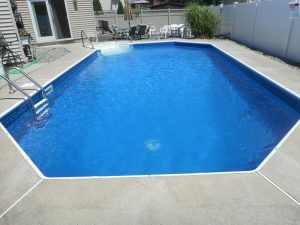 With spring weather on the horizon, now is the time to think about pool upgrades, repairs, and equipment replacements. Salt Generation Systems are a great way to produce your own, clean chlorine, and can save you money versus rising chemical costs. The retail cost of salt is a fraction of the cost of a bucket of chlorine tablets. 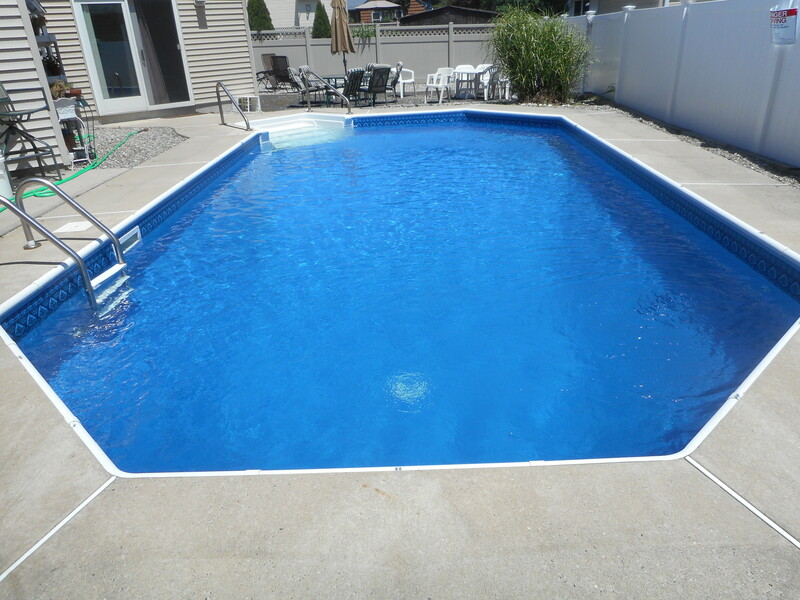 Salt based pools have also been known to enhance the swimming experience for bather comfort. While customers have raved about the soothing effects and silky feel of the water, salt water has also been proven to be a great exfoliate! That means healthier skin, nails, and hair! Do you have a hypersensitivity to chlorine? On-site chlorine generation may help to curtail your exposure and also prevent direct handling of chlorine. 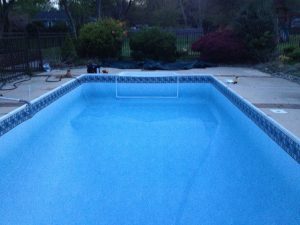 The cost of salt versus the cost of chlorine. When converting to a salt system, the initial dosage of salt is quite a lot, but our salt packages have that salt included. As the summer goes, a few bags may need to be added. Salt is $11.00 a bag, and your chlorine tablets can cost an average of $200.00 for the season. Salt stays in the water. 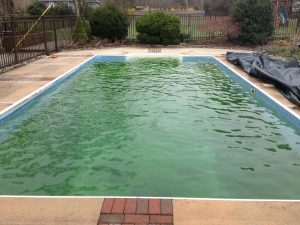 Salinity is balanced at the pool opening, and stays in the water. 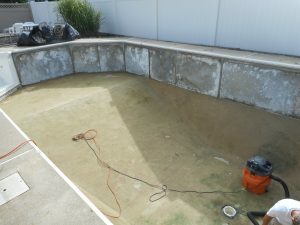 The only time you lose salt is when you waste water, backwash, bather drag out/ splash out, or if the pool is leaking. 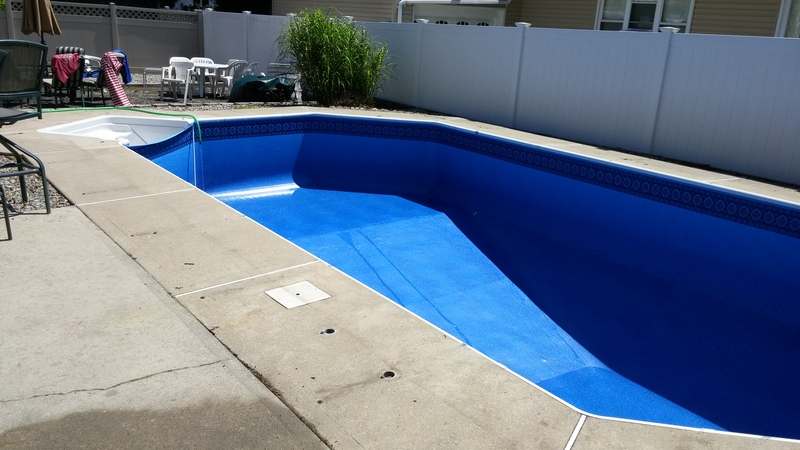 Your pool still needs to be shocked! 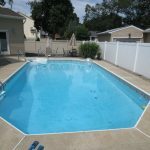 While you can shock through the salt system, we recommend shocking or super breakpoint chlorinating with granular calcium hypochlorite. Shocking with the salt system takes up to 24hrs while shocking with granular cal hypo will raise chlorine quickly and burn off quickly. Also, now is the time to schedule your liner replacements. Liners have a lifespan of between 5-10 years. Liners can experience bleaching due to chemicals or UV degradation, rips or tears due to sharp objects coming in contact with the liner, and leaks which are common at seams, steps and light sources. There are many new patterns and also thickness options available in liners. By scheduling now, you can ensure being open by the unofficial start of summer, Memorial Day Weekend, which we are looking forward to this year! Better yet, coordinate your liner replacement with a new salt generation system and save on labor costs! Call us today for more information at 732-451-1040 or submit your request here.